Italy’s centre-right coalition came out on top in Abruzzo’s local elections at the weekend, handing the regional senator post to Brothers of Italy (FdI) and seeing the far-right League surge ahead. Meanwhile, the League’s national coalition partner, the anti-establishment Five Star Movement (M5S), lost ground in the central Italian region. The League, headed by Matteo Salvini, still runs with its traditional allies FdI and Forza Italia (FI) in local elections. Abruzzo’s regional elections were the first in which M5S and the League have gone head-to-head since they formed their national government coalition last June. The centre-right candidate, Marco Marsilio, won 48 per cent of the vote in the region, the official count showed, while a centre-left coalition was ousted from power, gaining 31 per cent of the vote. M5S trailed in third, taking 20 per cent — far below the 40 per cent it won in the region in last year’s national parliamentary ballot. M5S candidate Sara Marcozzi said it was “not a defeat for M5S but for democracy”. The League, which has made headlines for its uncompromising stance on immigration, won 28 per cent of the vote against some 13.9 per cent it took in Abruzzo in the March 2018 national election. While M5S won 33 per cent of the vote in the general election last year, compared to the League’s 17 per cent, it has since watched the rise of its coalition partner. The League is now favoured by 34 per cent of Italian voters, according to an Ipsos poll released on Monday. 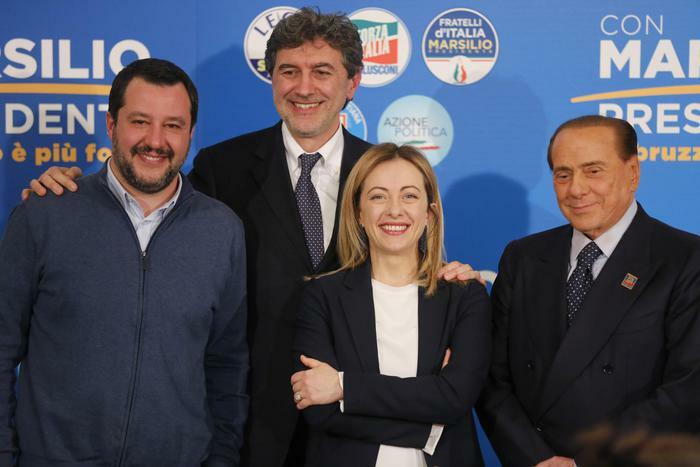 Success in the European polls would strengthen the League’s hand further, with expectations that this would spur Salvini into “engineering” an early election in a bid to rule alone. “It’s a vote in Abruzzo and I don’t think our M5S friends have anything to fear,” Salvini told reporters, playing down speculation political instability could rise on the back of the vote. M5S leader Luigi Di Maio is yet to comment on the election results.